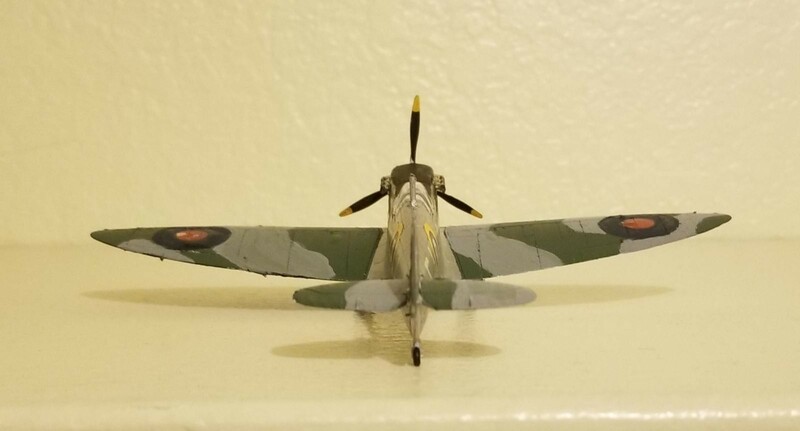 This Spitfire is an Airfix kit. It is 1:72 scale. 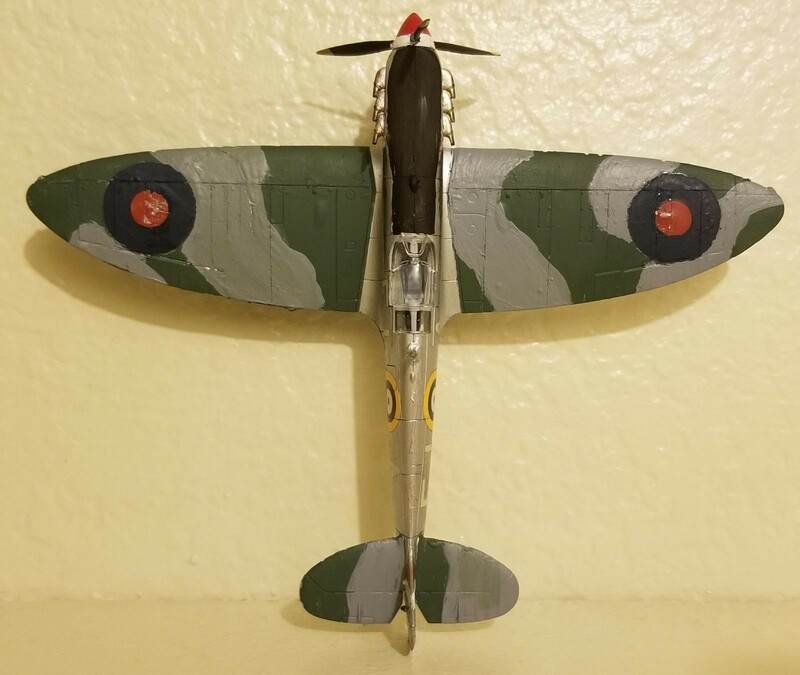 As this is my first spitfire, I customized it a bit. I combined two paint jobs that I REALLY liked. I first painted it silver. I thought it looked plain and simple, and I didnt really like it. So what I did was I used paint thinner to remove it from the wings and tail section. Then, I painted what you see here. You see, what I like to do (my personal preference) with my fighter aircraft is pick a paint job that I really like, do that paint job, then make it my own by adding little details here and there. I also had a question for you wonderful people here on Imodeler. What, in your respective opinions, is the best way to rig an aircraft? As you can see, this spitfire isnt rigged. Thank you all for reading, and have a nice day. Sincerely, Jordyn. Good choice in subject. 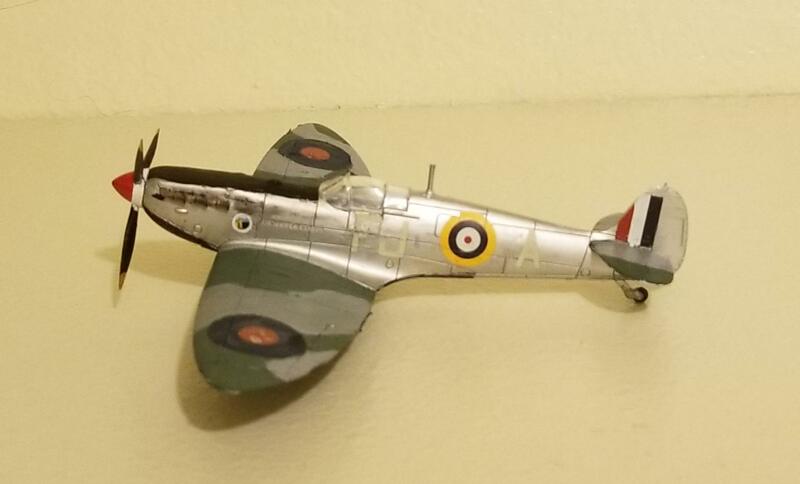 I love these Airfix 1/72nd Spifires. Easy on the wallet and not too hard to build. You can modify them or paint them with a eye to customizing. As for rigging some folks use stretch sprue. Heat a sprue over a candle and then stretch the plastic to suit. Others buy a product called EZ line which can be glued and stretched. Frankly, unless your going to enter into a contest or want to impress your friends …I don’t even bother in this scale. My ham fisted hands and fat fingers always over the course of time manage to break this stuff before it leaves the bench. In the the end its up to you and how you want to float your boat. Jordyn keep up the good work. Looking forward to more of your modeling adventures in plastic. 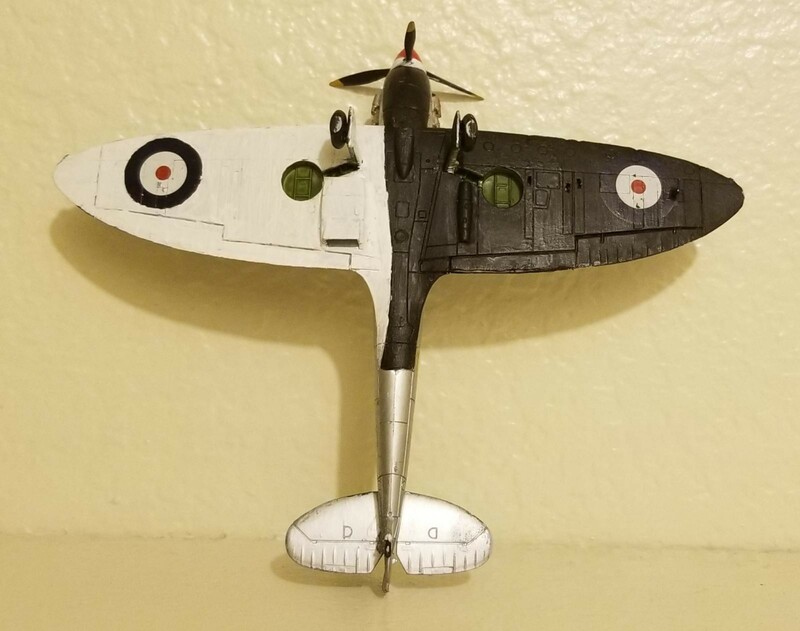 Interesting paint scheme Jordyn, you’ve incorporated three distinct paint combinations of the Spitfire into one. Unique I say. For rigging I seem to use nylon thread most of the time. Secure one end to the canopy or antenna then run it through a small hole drilled in the tail and then glue it as well. If you’re looking for unique paint schemes there are tons of them to be found on WWI and WWII aircraft. Check out the world wide web or check your local library and you’ll find lots of reference material to work with. Pick a particular model, discover what units few it, that will lead to their distinct camouflage pattern or paint schemes.